From time to time I ofder up signed books for sale. Last week we had Jim Zub signing cooies of Avengers, which went over well. 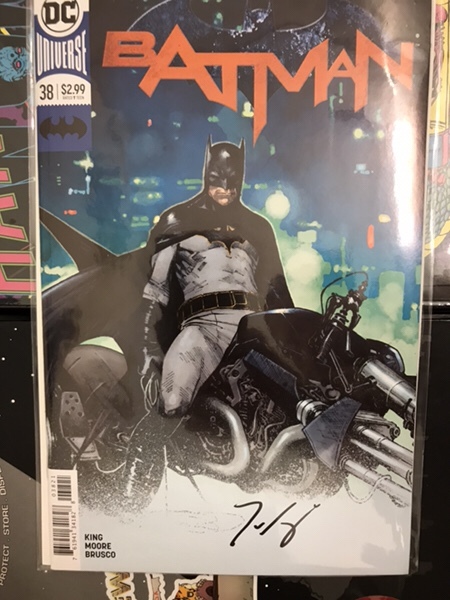 This week Batman writer Tom King was in town and signed copies of Batman #38 (Master Bruce story) and a few other things I am making available. 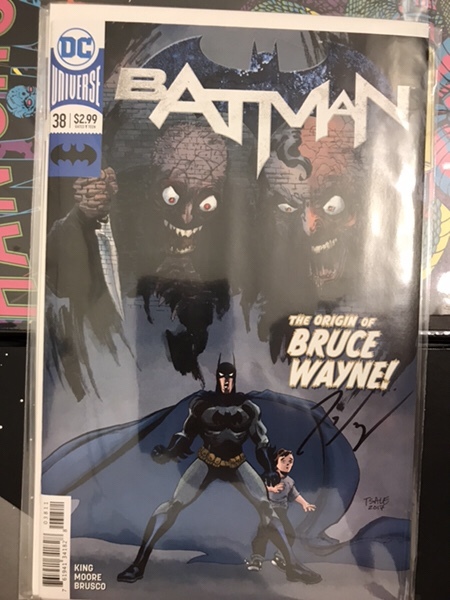 Check them out below.I have 16 signed copies of Batman #38 Coipel variant and 15 copies of thr Tim Sale cover. 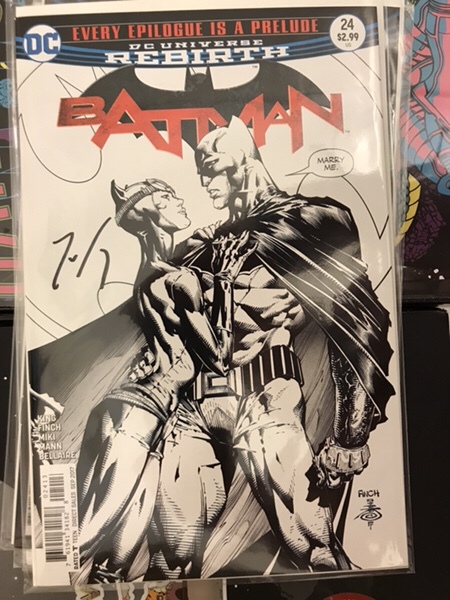 I also have one copy of Batman #24 Newsstand Variant (The Proposal) and one copy of Batman #24 Third Print Black and White cover. and finally, one copy of Batman #21 Lenticular cover. 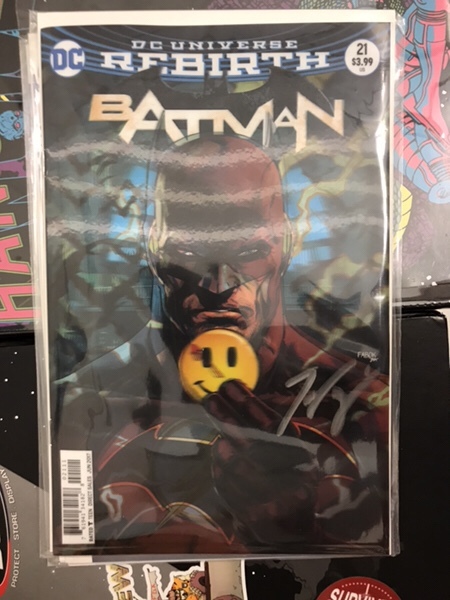 All were signed by Tom King at Third Eye Comics in Annapolis Maryland today. 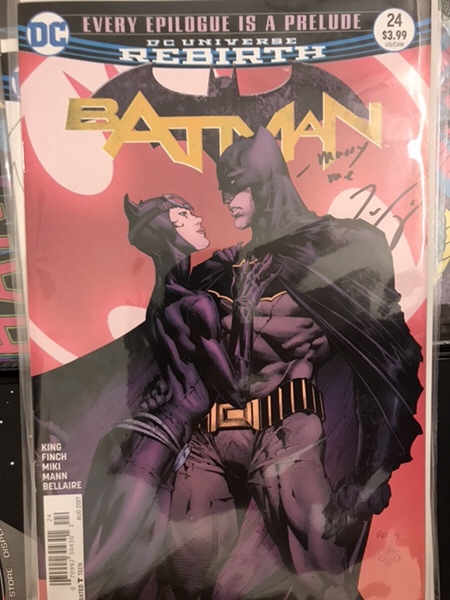 Batman #21 Lenticular $17 shipped. What’s was the ‘surprise’ for the first few? It was a litho of the Swamp thing Special. 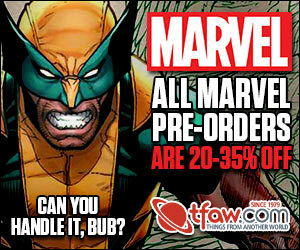 Avengers #679 selling out everywhere! 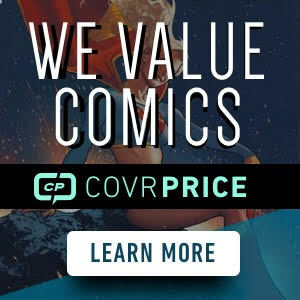 I got the preview First full for sure appears in the first panels of the book. And someone dies I think from the preview inside cover. I’ve got my Vision HC on the way, hopefully I can get it signed by him at Awesome Con this year.